The might of a Roman soldier can lend you strength any day when you accent your shelf or desk with the Mini Roman Helmet. 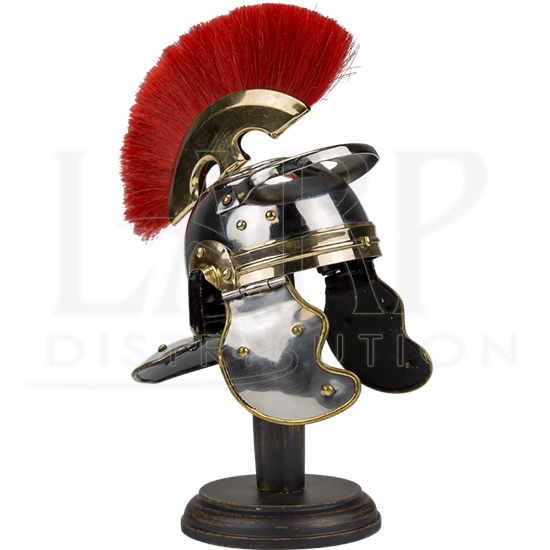 This miniature collectible helmet is finely detailed and made of steel with a chrome finish and bright brass detail. A vibrant red plume accents the very top. The cheek plates of this small Roman helmet are hinged for added realism. 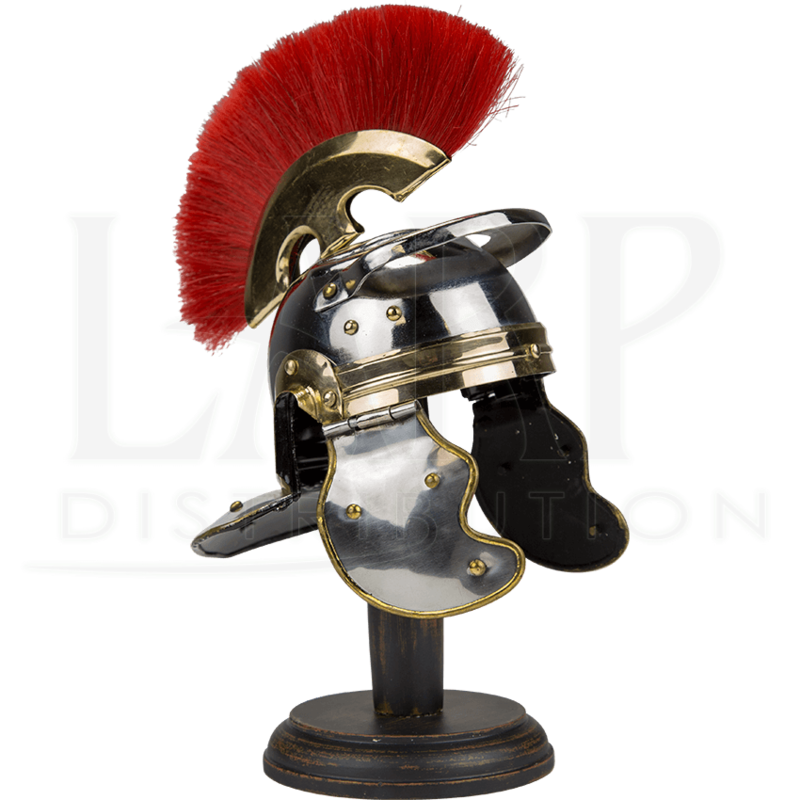 Sized to fit almost anywhere, this decorative Roman warrior helmet comes with its own wooden helmet stand for easy and stately display.